LAHORE: Pakistan cricket captain Sarfraz Ahmed said spinner Yasir Shah’s inclusion in the squad for the upcoming ODI series against Zimbabwe would be beneficial for the team. Speaking to the media at Gaddafi Stadium on Wednesday, Sarfraz said the team picked for the upcoming series is well rounded, and will be boosted by the return of Shah, who was sidelined by a hip bone injury earlier this year. But the 32-year old spinner is back in the national squad for the upcoming ODI tour of Zimbabwe, which follows a triangular series between Pakistan, Zimbabwe and Australia. Speaking about the squad, Sarfraz said the team would utilise Mohammad Hafeez to his full potential as an opener as well as a spinner. 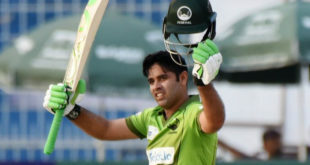 He also lauded Kamran Akmal’s recent performance in the domestic circuit. About his own performance the captain said he has been working on his batting and hopes to perform well. As a captain he is always under pressure, but he will not let it get to him, said Sarfraz, adding that he will try to win matches with his batting and will continue to bat at number four in the upcoming T20 matches. The 31-year old said he will not be taking 12th-ranked Zimbabwe lightly in the upcoming series. 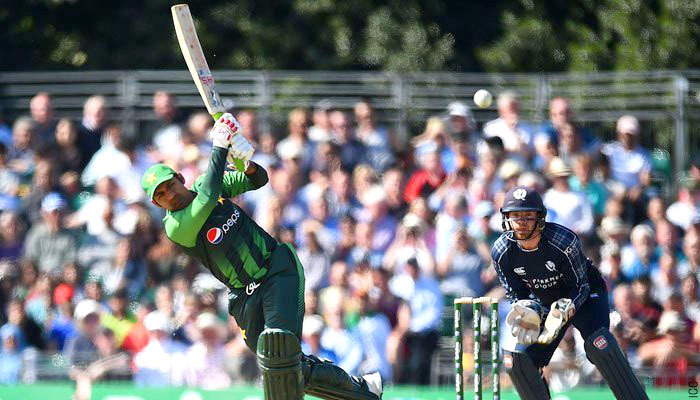 Sarfraz added that the Pakistan team has good bowlers with match-winning capabilities.